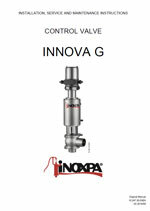 The INNOVA G-type valve is a pneumatic flow control single seat valve for hygienic applications. 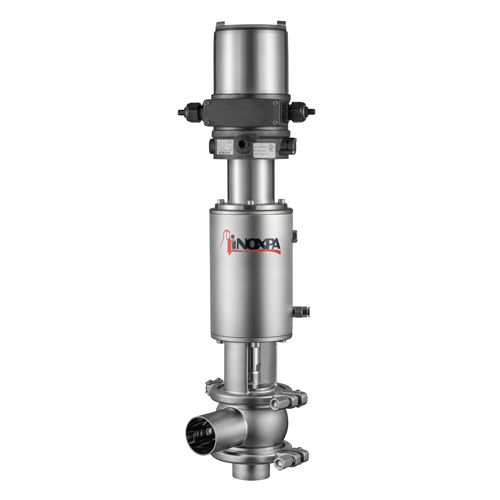 Its main function involves regulating flow, controlling pressure and level. 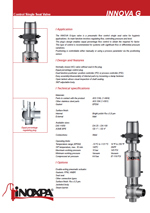 The plug’s design enables equal percentage flow control to obtain the required Kv factor. This type of control is recommended for systems with significant flow or differential pressure variations. Positioning is controllable either manually or using a process parameter via the positioning sensor. Normally closed (NC) valve without seal in the plug. Dual function positioner: position controller (PD) or process controller (PID).